The Curious Wavefunction: Billionaires and science prizes: "Fund the science, not the prizes"
Billionaires and science prizes: "Fund the science, not the prizes"
Physicist Lawrence Krauss has a good piece decrying recent billion-dollar science prizes like the Breakthrough Prize which billionaires like Mark Zuckerberg are giving out to leading scientists in Oscar-style extravaganzas, and I have to say I largely agree with his criticism. Quite aside from the simple fact that gunning for any prize is terrible motivation for doing science, I have always been skeptical about how much of a difference exactly these prizes make in terms of public appreciation of science, let alone in terms of getting young people interested in science. As Krauss puts it, it's not just a simple question of whether these recognitions are "good" or "bad" for science (they're probably not bad per se); it's a question of whether the cost to benefit ratio is worth it and whether there are simply better ways in which a billionaire can spend his or her billion dollars on science. I also tend to agree with his cynical-sounding but valid point that the most palpable impact of these prizes is probably to raise the public profile of the benefactors themselves rather than the recipients. Nor are the prizes, as glittering as they seem, the ultimate honors; as Krauss accurately observes, all the prize winners would almost certainly trade their awards for a Nobel Prize if they had a chance. Simply put, money can't really buy you prestige. Krauss's recommendation for what to do instead with all that money is simple: instead of putting a billion dollars into a prize for an individual or specific discovery, fund actual science instead. One of the reasons is simply the magnitude of what could be done: a simple calculation leads to the rather alarming conclusion that a billion dollars would fund about two hundred and seventy postdocs for a year. In fact, as any academic who is cash-strapped and constantly jousting for a dwindling percentage of NIH or NSF grants knows, even a million dollars could serve as a healthy injection of funds into a moribund project. Here's Krauss on how spreading the wealth around could do a great deal of good, especially in fields in which the government is increasingly stepping back. "But a larger problem is that these prizes are not an efficient use of funds. Instead of funding science prizes, these billionaires should try funding the science itself. 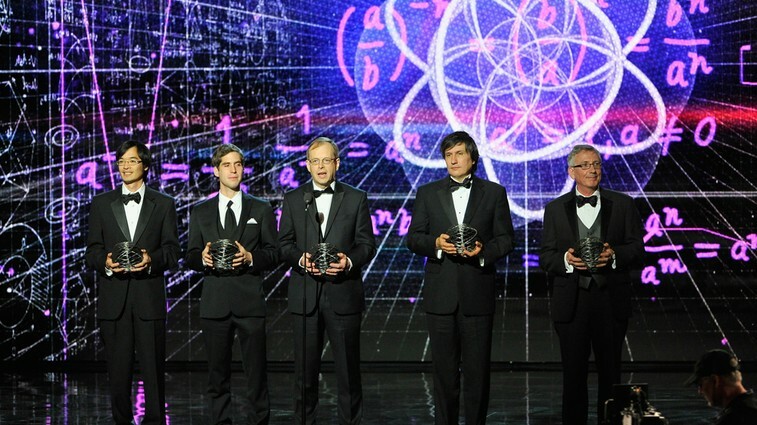 Take particle physics—one of the main specialties in which Breakthrough Prizes have been awarded. In that field, government funding has been cut back significantly, and budgets have been flat or declining for years. The $27 million awarded by Yuri Milner, in 2012, would have funded perhaps two hundred and seventy new postdoctoral fellowships that year, or a smaller number of postdoctoral fellowships combined with endowed faculty positions. That could more than double the current number of young researchers in the field. With a larger group of young, talented, and ambitious scientists finding gainful employment, the likelihood of jumpstarting some new and exciting research would be significant. (The benefit to young scientists, meanwhile, would be far greater than that created by giving more money to older scientists whose work has, in all likelihood, already been recognized and well supported.)" "My advice to would-be billionaire prize-makers is simple: set up independent foundations from which good young people and the institutions they are part of can receive support. This will allow more scientists to pursue careers that might otherwise be cut short due to the current, and unfortunate, lack of public funding. If you want glitz, spend your money on yachts; if you want to have an immediate impact as a force for good, then help the poor. But if you want to help the scientific enterprise, prizes aren’t the way to do it." I may be fixating on a point you weren't trying to make here, Ash, but I have to argue that if funding is moribund, there is no way that funding postdocs' salaries for a year is a good idea. That just gives junior scientists time to convince themselves funding isn't moribund, and somehow it will be different for them. I think that's how we got into the present mess. I'd prefer funding for later-stage scientists, and for terms much longer than one year, and more than just salary support. I know that drives up the cost per award, forcing the number of awards down--and I don't think that's a bad thing. I also think that billionaires should fund science instead of giving prizes to scientists. It should also be noted that it's not an easy decision whether one deserves the prize or not. The biggest prize is obviously Nobel prize, and we all know it's not even fair. Some people are simply not recognized by the committee for several reasons. You say "money can't really buy you prestige", but I think money and even a simple prize can buy you prestige especially if you are a young scientist. For similar reasons, I reject those lists like "30 under 30" etc.